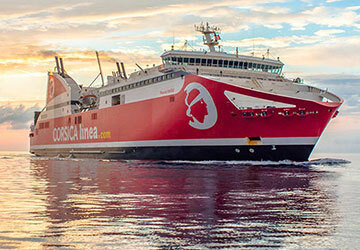 Maritima Ferries - View timetables, Compare and book ferry tickets at directferries.ie. Maritima Ferries acquired SNCM following their bankruptcy in January 2016, and now run under this new brand name. 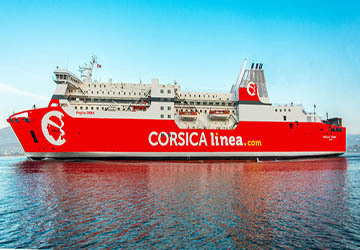 They are a major ferry operator connecting mainland France with Corsica, Algeria and Tunisia. 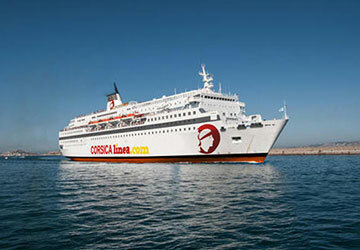 Maritima Ferries provides year-round services from Marseille, the main trading port in France. 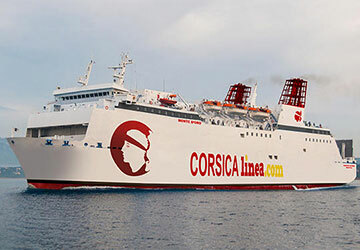 They also offer regular crossings to the Corsican ports of Ajaccio, Propriano, Bastia, Ile Rousse as well as direct connections to the seaside resort of Porto-Vecchio, and Porto Torres of Sardinia. Offering more than 3,500 crossings a year, Maritima Ferries transports freight, vehicles and passengers with a fleet of top quality ships. Your holiday starts the moment you step on-board Maritima Ferries’ cruise ships. 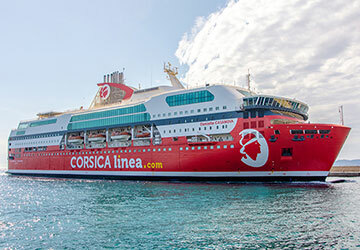 The vessels are well equipped with a range of cabins and their cruise ferry ‘Danielle Casanova’ can transport up to 2200 passengers and 700 vehicles. For the Sardinian routes, the cruise ship ‘Napoleon Bonaparte’ is also used, boasting excellent on-board services and facilities as well. View Maritima Ferries timetables, prices and book Maritima Ferries ferry tickets with directferries.ie. Looking for an alternative route or ferry company to fit your plans? 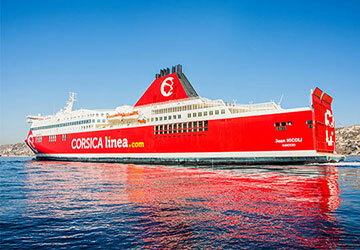 Don’t worry, we’ll also compare Maritima Ferries with alternative ferry companies in your search to help you choose.